A goofy comedy about mermaids has become China's highest-grossing movie ever made. Directed by Hong Kong's Stephen Chow, "The Mermaid," has raked in 2.47 billion yuan ($379 million) over just 12 days at the box office, the official Chinese state news agency Xinhua said. The success of the film, which tells the story of a mermaid who falls in love with a businessman she is sent to assassinate, is the latest sign of China's growing might at the box office. 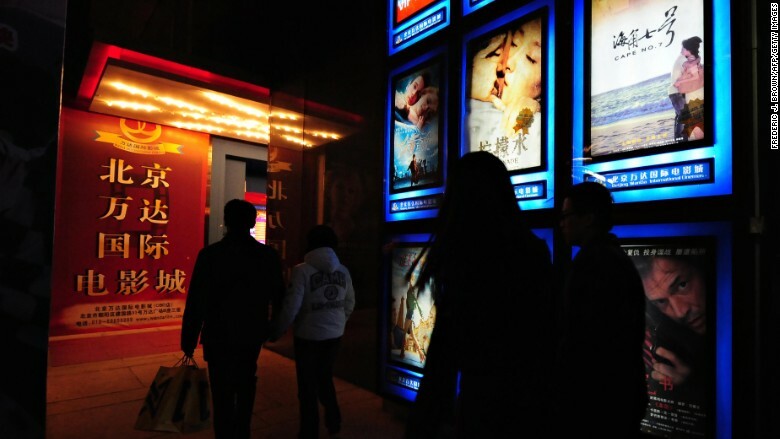 Chinese ticket sales surged 49% last year to reach 44.1 billion yuan, Xinhua reported, and China had its best day at the box office ever February 8 -- the first day of the Lunar New Year, a festive time when many Chinese are back home for a week-long holiday. China's white-hot growth contrasts with the North American market -- comprising the U.S. and Canada, which grew around 7% to $11.1 billion over the same period, according to Rentrak, a firm that monitors movie viewing. Homegrown movies are challenging Hollywood's traditional dominance at China's box office, and foreign film makers are adding Chinese stars to their movie line-up in order to boost their appeal. 2014 comedy, "Monster Hunt," was previously China's biggest box office hit. It took in 2.44 billion yuan last year, knocking Hollywood car chase movie "Furious 7" off the top spot. The Chinese government limits the number of foreign films that can be shown in Chinese theatres each year. Approved films face the heavy hand of government censors, who cut anything the Communist Party considers offensive or subversive. And industry regulators give domestic movies favorable release times, such as public holidays. For those in the U.S. who want to see what the fuss is about, Sony Pictures released the film in select U.S. theatres last Friday, the company said in a statement.